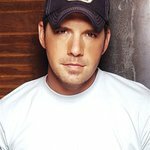 ThanksUSA has announced a country music benefit concert in support of military families, starring Rodney Atkins, following his sixth No. 1 hit, and award-winning country and Christian contemporary artist Lucas Hoge. The performance will kick off the National Association of Broadcasters (NAB) show at 7:30 p.m. on April 15 at the Wynn Hotel in Las Vegas. The musical fundraising event is part of ThanksUSA’s ongoing mission to say “thanks” to America’s service men and women through the gift of education for their children and spouses. The non-profit provides the families of active-duty military personnel with need-based post-secondary school scholarships. Since its inception in 2006, ThanksUSA has awarded 2,500 scholarships totaling nearly $7.5 million across all the Armed Forces, including the Guard and Reserves, and the families of the fallen and wounded. In its own tribute to the troops, American Airlines is providing complimentary flights for the singers and their bands. The concert will also be streamed live to troops around the globe by TV Worldwide, a pioneering Internet TV Channel network, as part of its long-time Annual NAB “Salute the Troops” webcast.